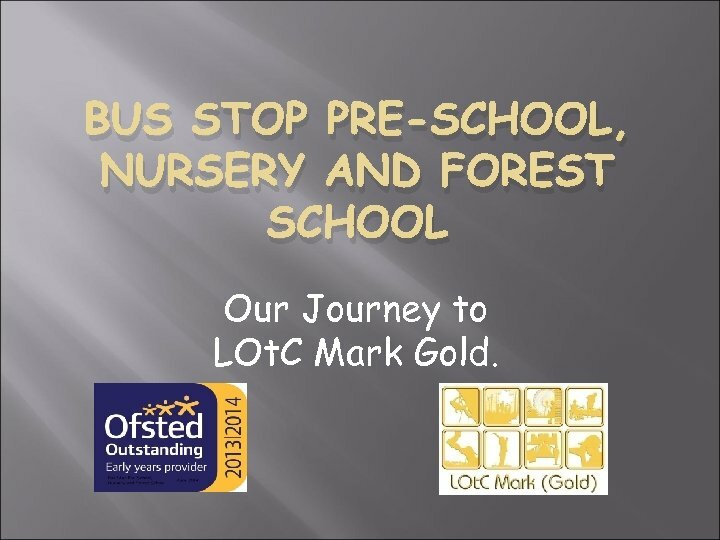 BUS STOP PRE-SCHOOL, NURSERY AND FOREST SCHOOL Our Journey to LOt. C Mark Gold. 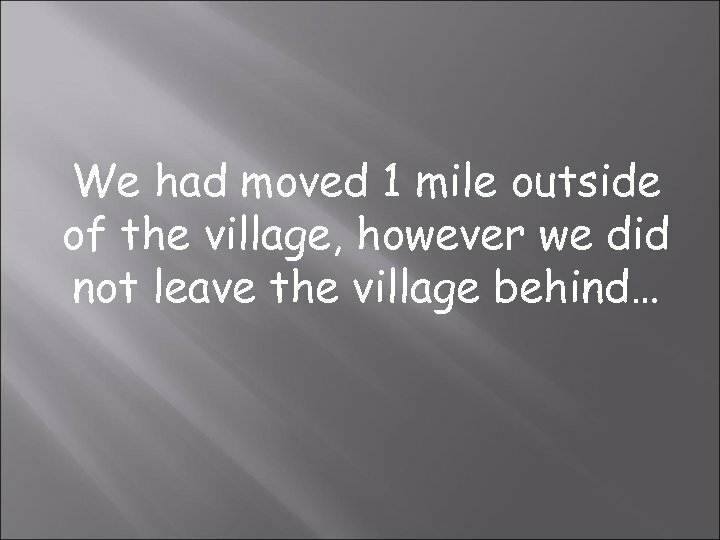 • • Our real journey to LOt. 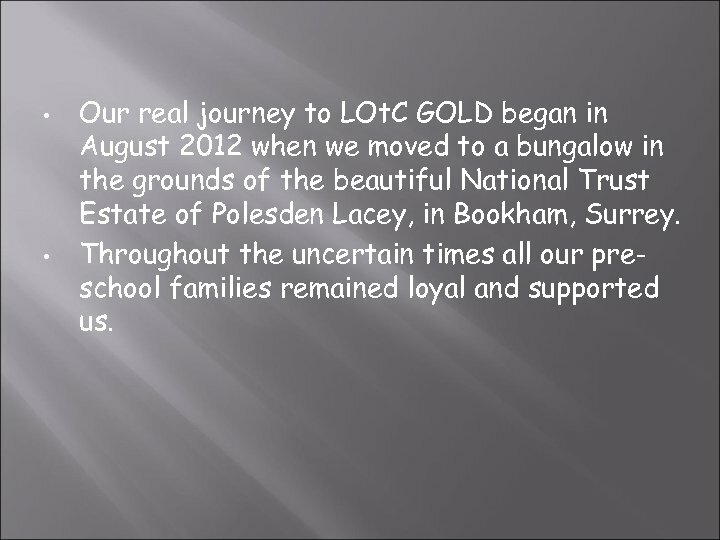 C GOLD began in August 2012 when we moved to a bungalow in the grounds of the beautiful National Trust Estate of Polesden Lacey, in Bookham, Surrey. Throughout the uncertain times all our preschool families remained loyal and supported us. 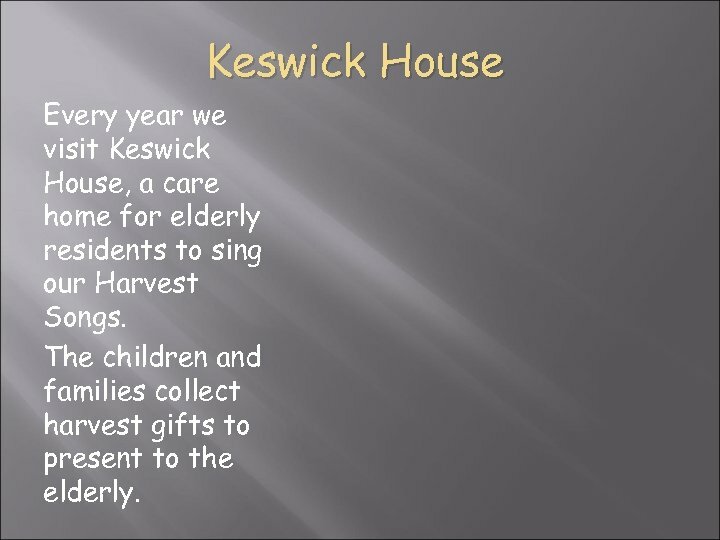 Keswick House Every year we visit Keswick House, a care home for elderly residents to sing our Harvest Songs. The children and families collect harvest gifts to present to the elderly. 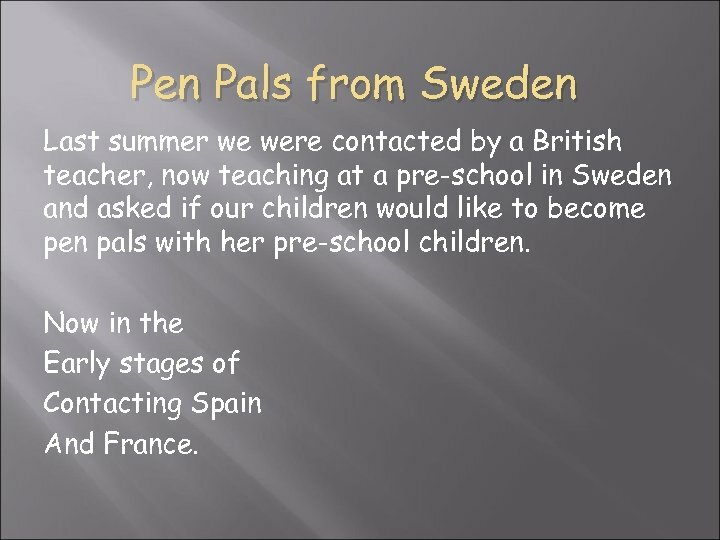 Pen Pals from Sweden Last summer we were contacted by a British teacher, now teaching at a pre-school in Sweden and asked if our children would like to become pen pals with her pre-school children. Now in the Early stages of Contacting Spain And France. 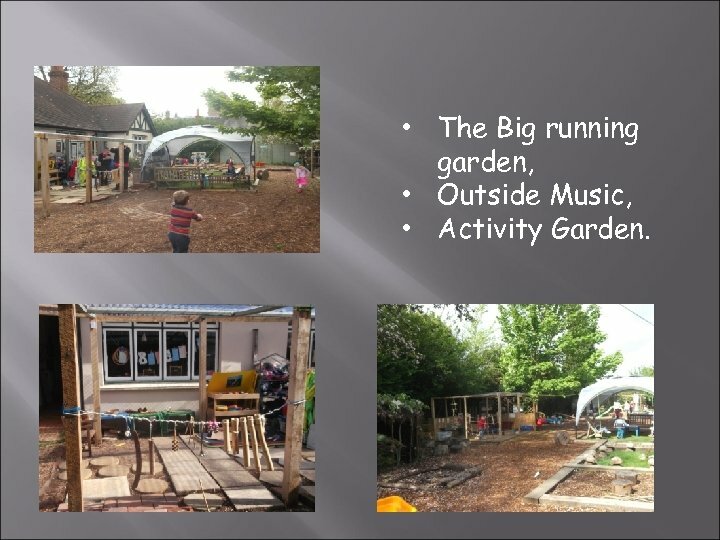 • The Big running garden, • Outside Music, • Activity Garden. 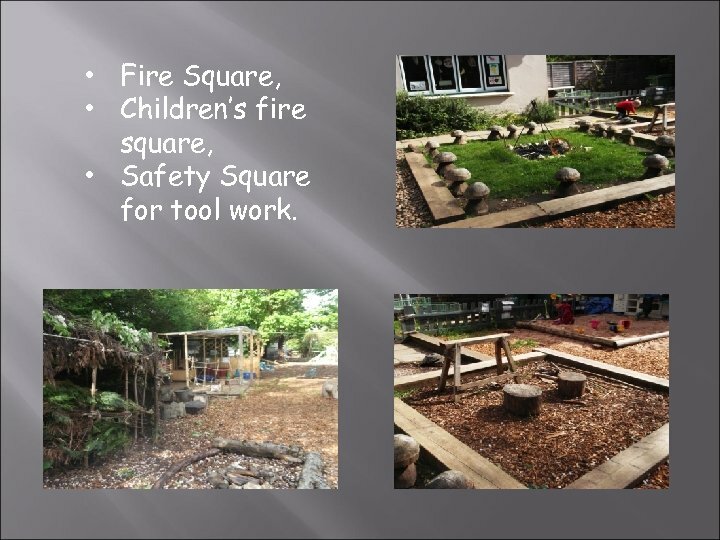 • Fire Square, • Children’s fire square, • Safety Square for tool work. 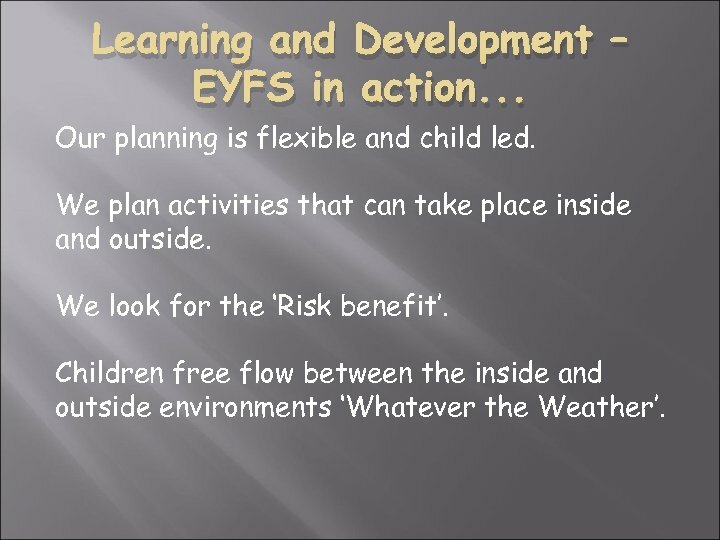 Learning and Development – EYFS in action. 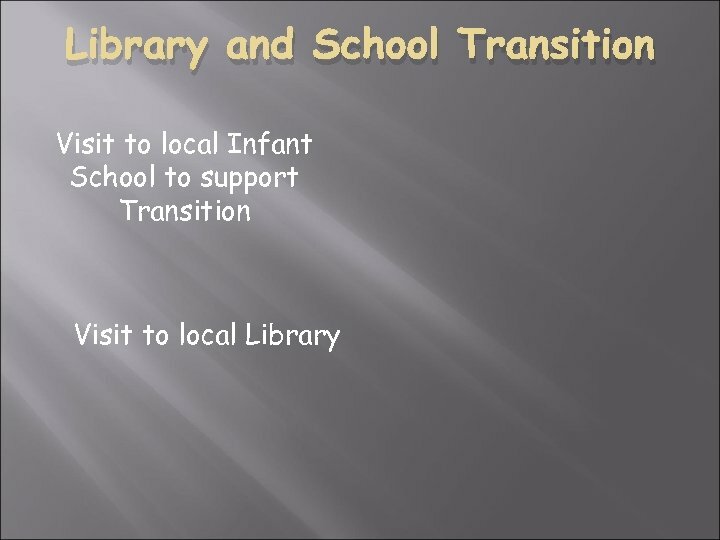 . . Our planning is flexible and child led. 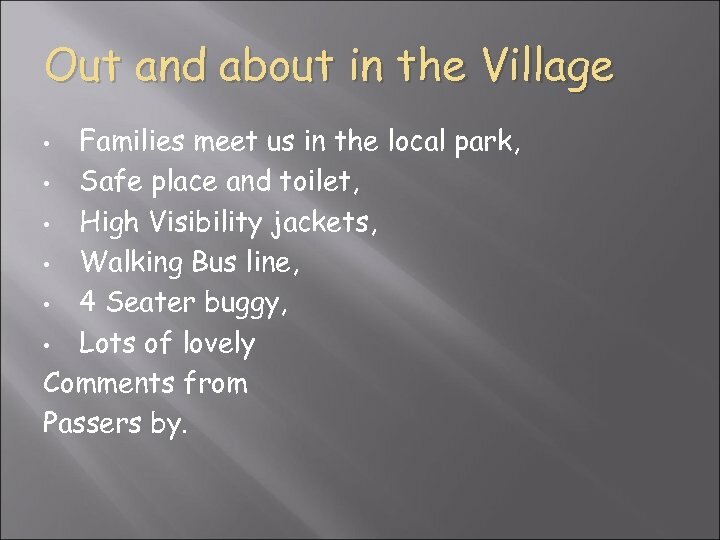 We plan activities that can take place inside and outside. We look for the ‘Risk benefit’. Children free flow between the inside and outside environments ‘Whatever the Weather’. 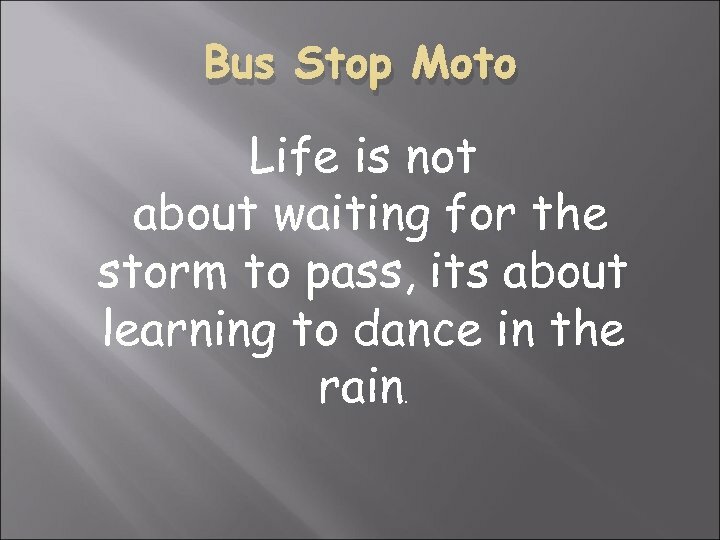 Bus Stop Moto Life is not about waiting for the storm to pass, its about learning to dance in the rain. 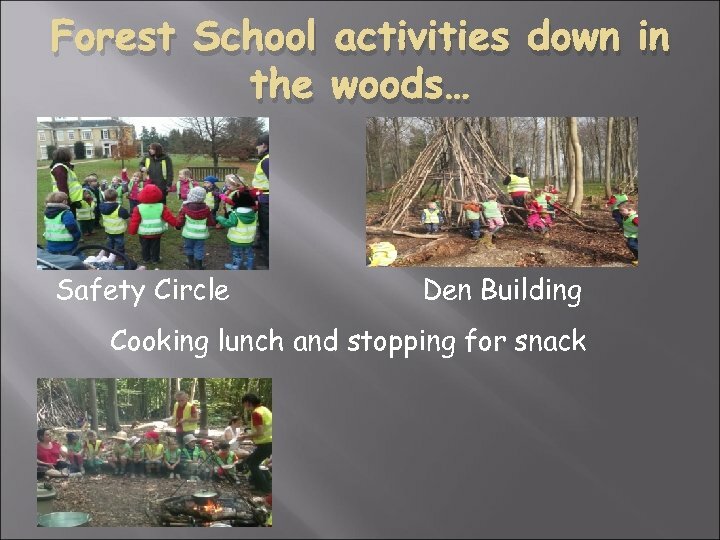 Forest School • • • We have been a Forest School for 4 years, We are both Level 3 Forest School leaders. We trained with Surrey and Sussex Wildlife trust. 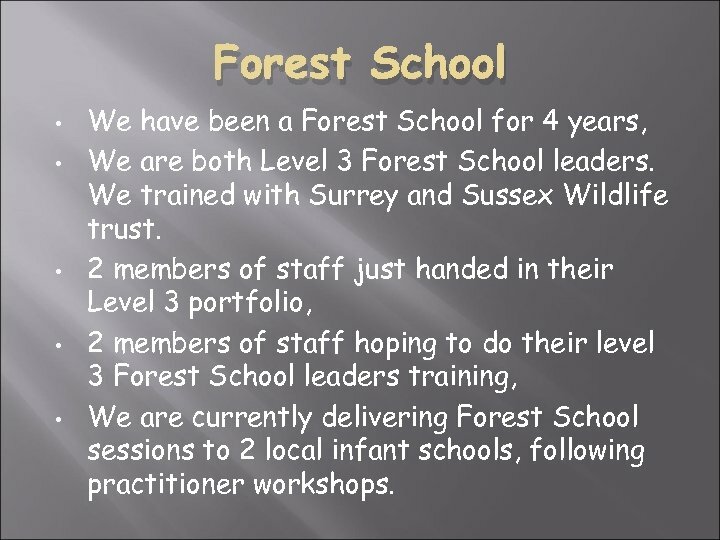 2 members of staff just handed in their Level 3 portfolio, 2 members of staff hoping to do their level 3 Forest School leaders training, We are currently delivering Forest School sessions to 2 local infant schools, following practitioner workshops. 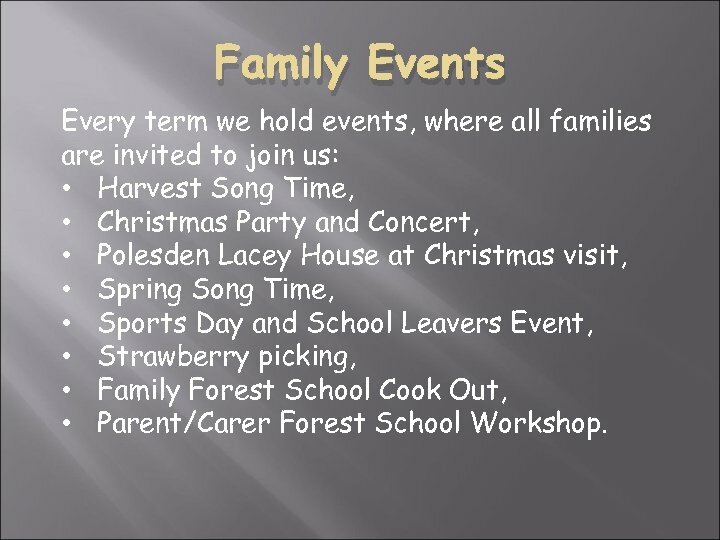 Family Events Every term we hold events, where all families are invited to join us: • Harvest Song Time, • Christmas Party and Concert, • Polesden Lacey House at Christmas visit, • Spring Song Time, • Sports Day and School Leavers Event, • Strawberry picking, • Family Forest School Cook Out, • Parent/Carer Forest School Workshop. 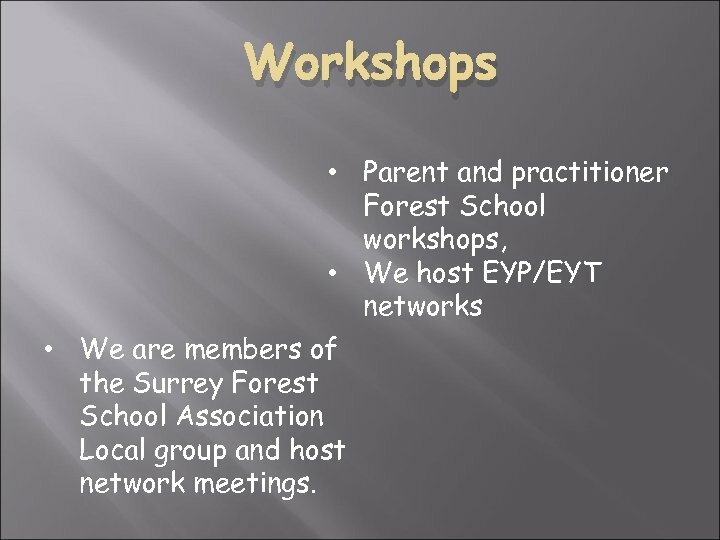 Workshops • Parent and practitioner Forest School workshops, • We host EYP/EYT networks • We are members of the Surrey Forest School Association Local group and host network meetings. 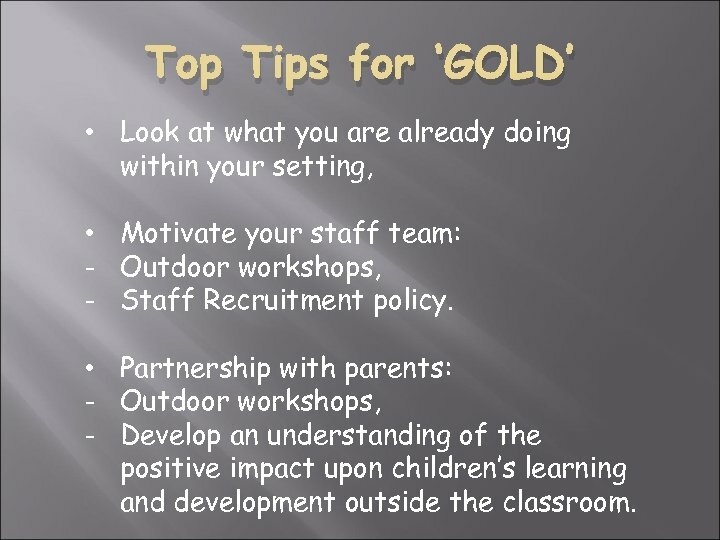 Top Tips for ‘GOLD’ • Look at what you are already doing within your setting, • Motivate your staff team: - Outdoor workshops, - Staff Recruitment policy. 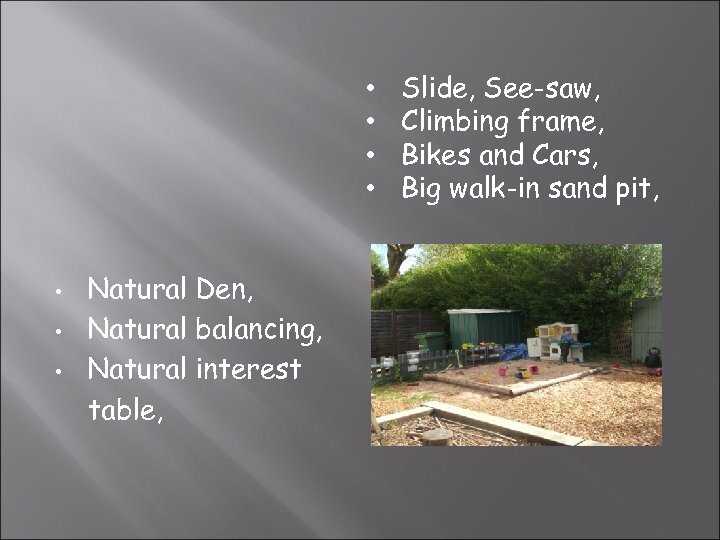 • Partnership with parents: - Outdoor workshops, - Develop an understanding of the positive impact upon children’s learning and development outside the classroom. 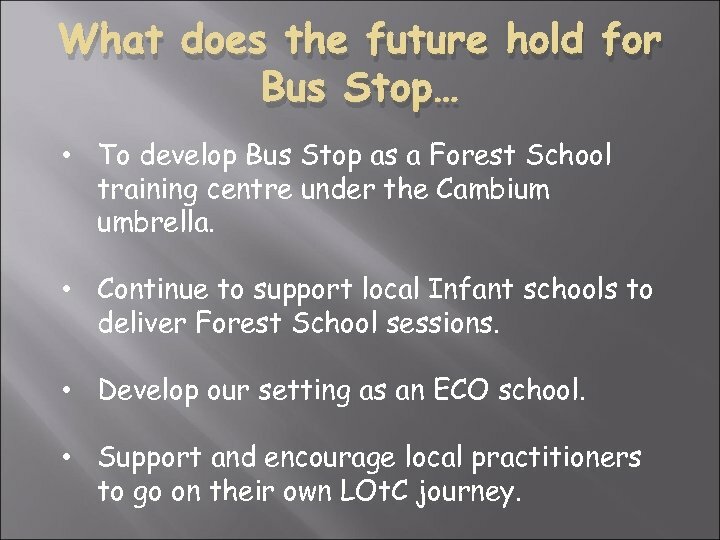 What does the future hold for Bus Stop… • To develop Bus Stop as a Forest School training centre under the Cambium umbrella. 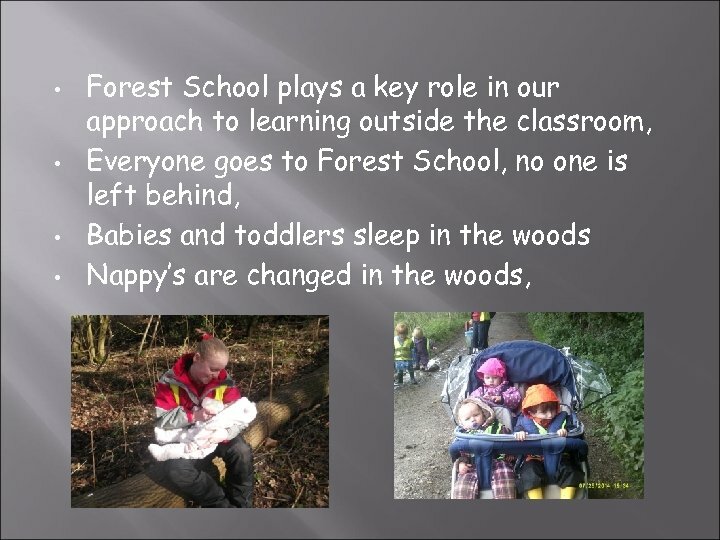 • Continue to support local Infant schools to deliver Forest School sessions. 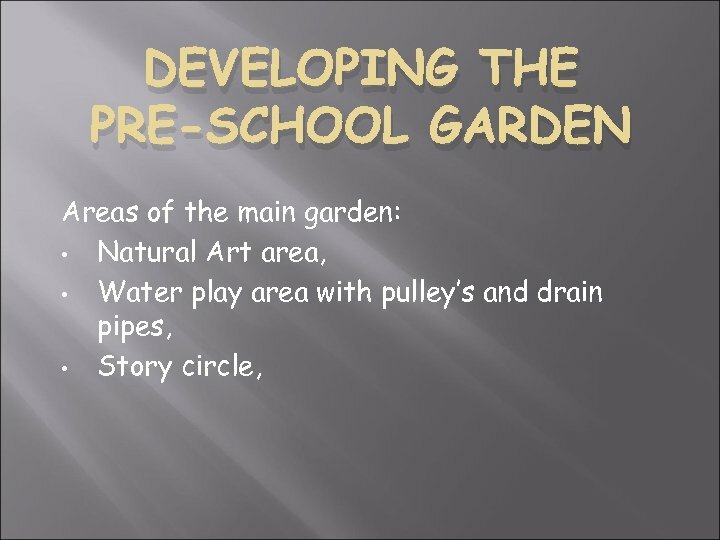 • Develop our setting as an ECO school. 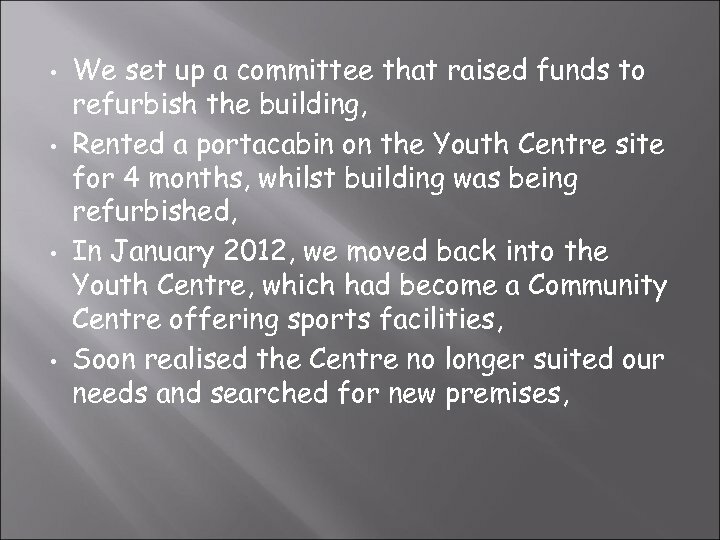 • Support and encourage local practitioners to go on their own LOt. C journey.